Diss – from April, our Morrison’s Cafe meet will be held every four weeks, 10.00am – 12pm. The next one will be on Monday 29th April 2019 so come and pop along for some coffee, cake, carriers and a chat! Diss – The Diss Corn Hall will be hosting our Sling Workshop on the last Tuesday of each month, the next one being 30th April from 11:30am until 1pm, so come along and say hello, grab a latte and some yummy cake and get a free toddler juice and biscuit! This will coincide with their new Toddler Tuesday activities in the cafe area although we will be in the room next to the cafe so it will be calm and private. Diss – *******Announcement ********* We are so excited to be having a new sling workshop at Safe Hands Day Nursery next to Monsters and we’ll be there next on their Open Day, which is Saturday 27th April 10:00am till 1:00pm. Diss – *******ANNOUNCEMENT********* WOWEE we are visiting the wonderful IMPS baby groups on Thursday 25th April at the Diss United Reformed Church opposite Aldi. We will be there from 10:15am till 12:15pm in the Lenton Room. Wymondham – We are currently looking for a new venue here until things settle down at the Children’s Centres in the area , so let us know if you have a lovely baby group that you would like us to visit in this area! Banham – **********ANNOUNCEMENT******** Banham Toddler Group has invited us to visit them on Monday 13th May 10:00am till 12 noon so drop us an email if you would like a time slot! We are super excited about going there! Bunwell – The Play Patch, thrilled to be visiting again on Monday 20th May, 10:00am – 12:00 noon. Such a lovely soft play area!! Attleborough – *******ANNOUNCEMENT ********* We had our first Child Carrying Cafe at Connaught’s Coffee House & Cafe on Thursday 4th April and looking forward to meet there the first Thursday of each month! It is super lovely in there with yummy cakes and we have the ‘lounge’ area to ourselves from 10:30am till 12 noon so do come along in May for our next one! Parking nearby too or in Sainsbury’s. 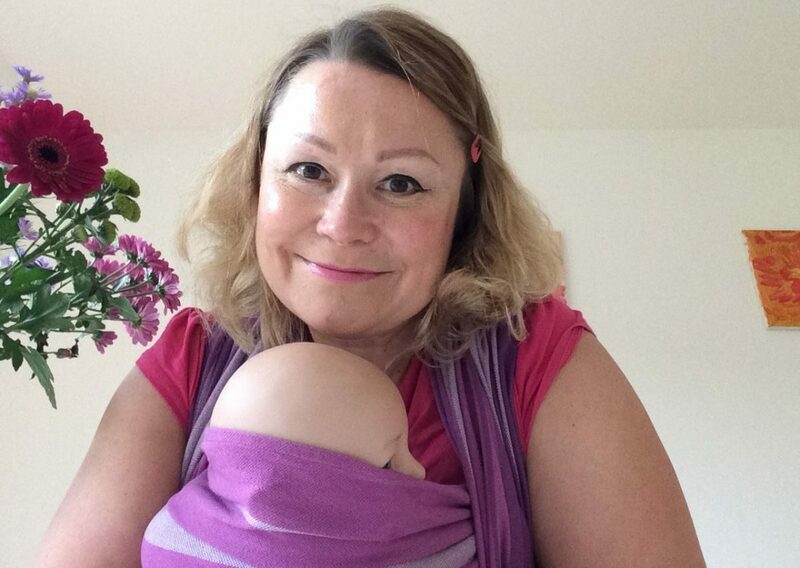 Carbrooke, Watton – We are thrilled to be asked back every four weeks for a sling Workshop at the Village Hall, just outside Watton at the fabulous new parent and baby group. The next one is Friday 26th April 10:00 – 12:00 noon. Thetford – We will be here on Wednesday 1st May, 9:30am – 11:30am, Charles Burrell Centre, Thetford IP24 3LH in association with the long standing and very popular Thetford Toy Library and Thetford Breastfeeding Mums. Please ask for the Toy Library or follow the path around to the far left of the building and we will be through the brown door!